BURNT HILLS – The Shaker Varsity lacrosse team came out quick against Burnt Hills-Ballston Lake on April 10 with seven unanswered goals in the first quarter and did not look back. The Blue Bison won the contest 19-8 after the Spartans posted a 5-goal run splitting the half. 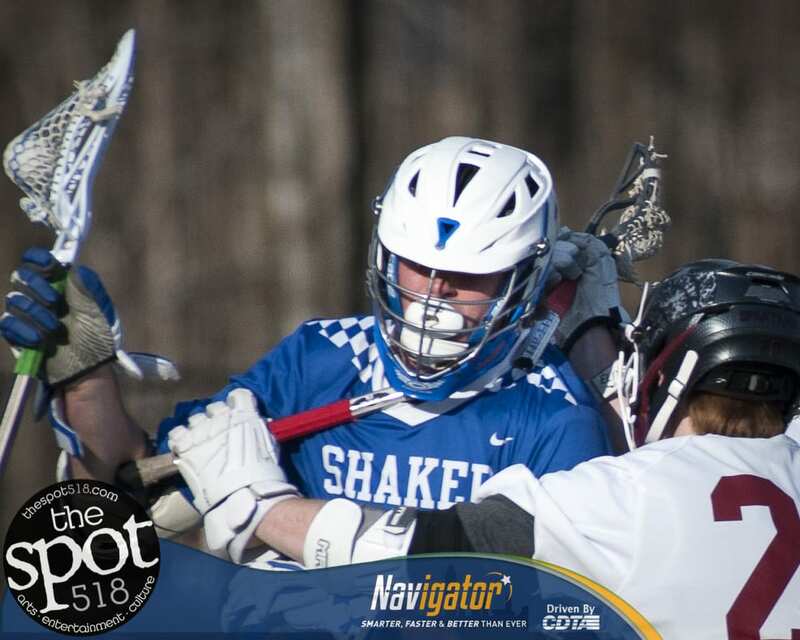 Shaker’s Amos Grimm led all scorers with six goals and six assists, Jack Cheney netted seven goals and an assist and Andrew O’Conner had three goals and an assist. Gordy Adams led BHBL with 3 goals and Jackson Bach scored two for Burnt Hills. The win brings Shaker’s record to 2-0 in the league and 4-2 overall. Burnt Hills-Ballston Lake is 2-3 and 0-2 in league play on the season. Click on a photo below to enlarge to view the rest of the gallery.